“It is so hard to be a woman in this industry. What it takes, how hard we work through the disrespectful challenges, just to make art. I love you Cardi. You deserve your awards. Let’s celebrate her fight. Lift her up & honor her. She is brave,” the A Star is Born actress tweeted. The message came amid controversy over Cardi’s win, which began with a tweet from Ariana Grande. After the New York native beat out Mac Miller in the Best Rap Album category. The 25-year-old pop star tweeted that the results were “literal bulls—,” which she later explained was not a slight toward Cardi. Grande simply felt it was unfair the Recording Academy invited Miller’s family to the show as though he was going to win. After the tweets were posted and then deleted, Cardi posted a video announcing that she was “sharing” her Grammy with Miller. She noted that the late rapper’s parents reportedly said they were rooting for her to win if he didn’t. 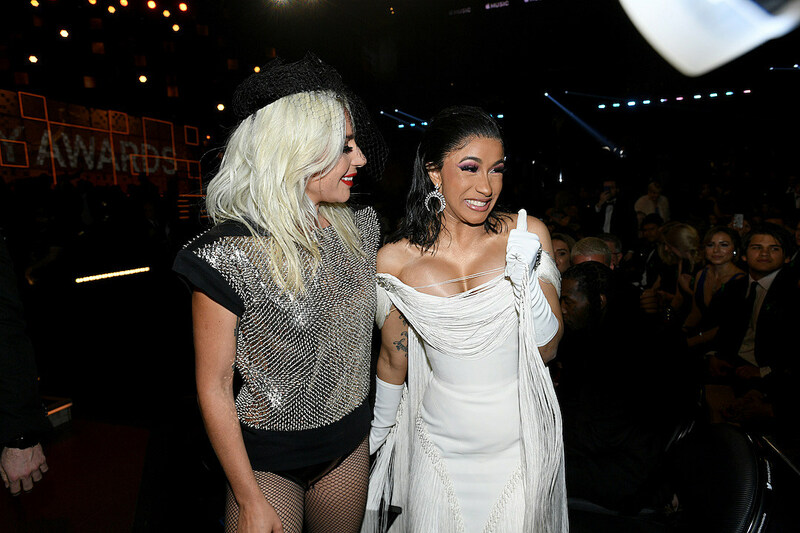 Cardi later shared a video about all the “s–t’ she was seeing online about her win, telling fans she was ‘sick’ of it.